The history of Revolution United Methodist Church tells us much about the troubled history of our region, state and country. The area we know as Westport is about three miles south of present-day downtown Kansas City, Missouri. It is now a neighborhood within Kansas City, but in the early 1820’s the area was little more than a vast wilderness. It was first settled in 1831 when Rev. Isaac McCoy built his log cabin home in what would soon be the town of Westport. Other settlers soon moved in, and Westport, Missouri became an important frontier outpost. In the 1840’s it became the starting point for the Santa Fe, the Oregon and the California trails, major pathways for the movement of settlers and missionaries into the West. Westport was formally incorporated as the Town of Westport, Missouri in 1857. The Westport Methodist Episcopal Church was organized in 1836. By the mid 19th century it was evident that the question of slavery was as divisive in the Methodist church as it was in the nation at large. In 1844 the Methodist Episcopal Church split into two distinct organizations, with the churches in the southern parts of the country organizing themselves as the Methodist Episcopal Church, South. During the Civil War, and for several years prior to its commencement in 1861, the entire region experienced violence and suffering caused by the bitter conflict between pro- and anti-slavery factions. The area around Westport was frequently beset by guerrilla warfare. Militias and vigilantes caused widespread death and destruction throughout this area. Massacres were not uncommon and extra-judicial murders, pillaging, robbing and destruction of property was frequent throughout the region. As the Union troops gained control of areas around Westport, they often treated those they suspected of being sympathetic to the Southern cause with brutality and harshness. Property of many landholders was confiscated and destroyed, stiff fines were assessed, and some ministers and landowners were even banished. The Westport Methodist Episcopal Church, South found itself in the center of this social and physical upheaval. As the Union forces became the controlling power in this area, the ministers of Methodist Episcopal Church, South, were treated by the Union military forces as Southern sympathizers. Many of the churches in Westport were closed, their use as places of worship and education suspended. This was certainly true for The Westport Methodist Episcopal Church, South. However, military battles and bloodshed was not limited to areas near Westport. In October of 1864, the battle of Westport raged in and around Westport itself. The Westport Methodist Episcopal Church, South served as a hospital for the wounded and dying from both sides of this tragic conflict. In 1867, shortly after the conclusion of the Civil War, the old frame church building was torn down and the Warfield Chapel, a new brick church, was built at that location. 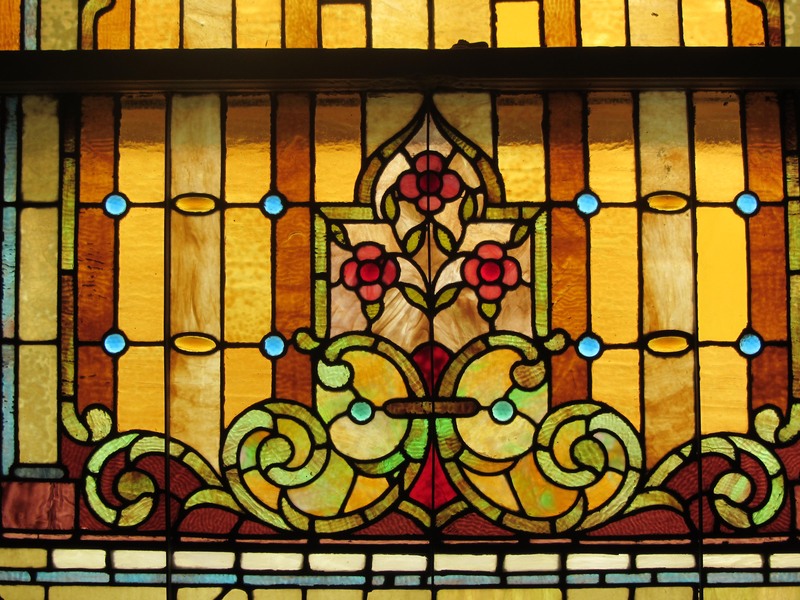 In 1894 a new stone building “with beautiful stained glass windows” was added to the Warfield Chapel building. 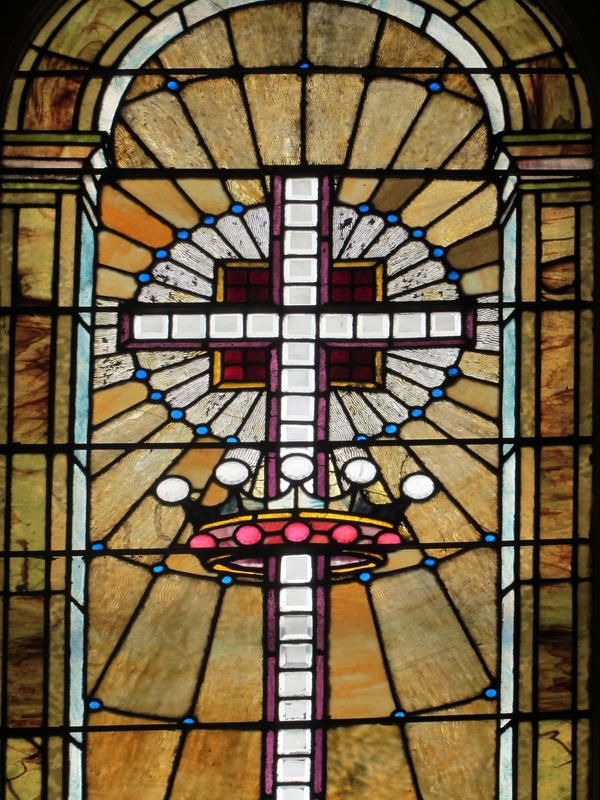 Some of the existing stained glass windows in the Westport church may date from that period. In 1899 the Town of Westport was formally annexed by the City of Kansas City, which by then had completely surrounded the small community. 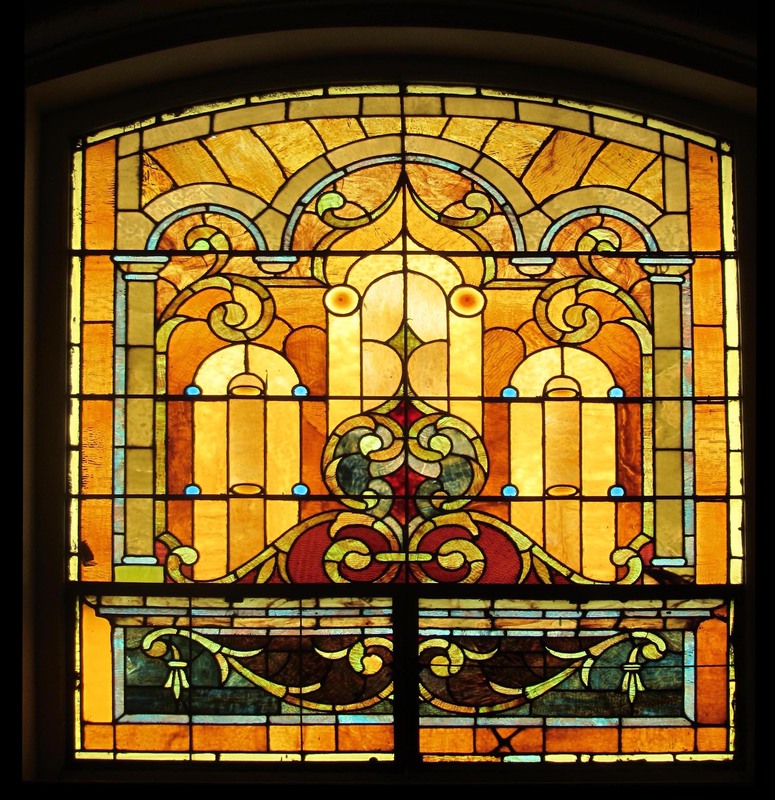 The church was remodeled in 1925, and some of the present windows may have been installed at that time. In 1939 the two branches of the Methodist Episcopal Church reunited and Westport no longer used the “South” designator. The United Methodist Church was created in 1968 when The Evangelical United Brethren Church and The Methodist Church joined in what would be known as The United Methodist Church. 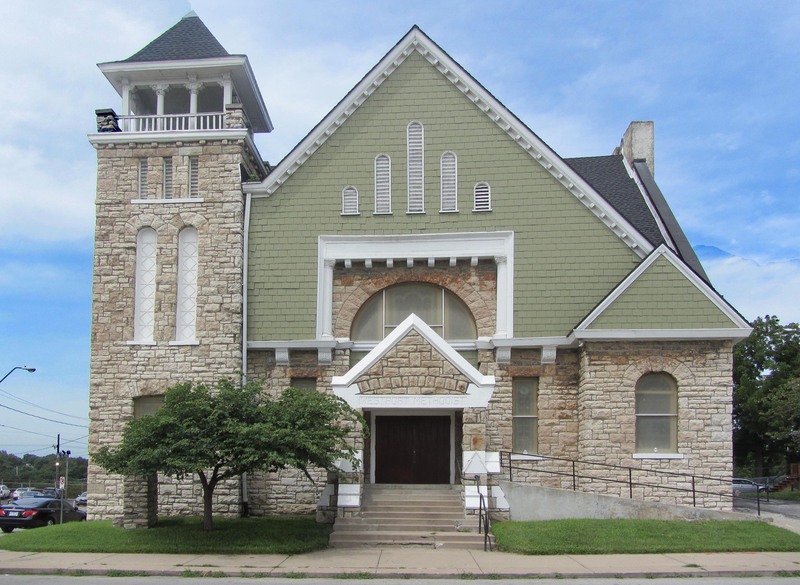 The name of the Westport Methodist Episcopal Church was changed to the Westport United Methodist Church at that time. In 2005 the church changed its name to Revolution United Methodist Church. The history of the church has reflected a long dedication to the work of its church missionaries, to its charitable and social service work in the community, and to serving the spiritual need s of its members since its founding 180 years ago. The Westport community has grown and changed over the years. From a frontier boom town, serving the needs of westward settlers, it has survived the difficult years of border and Civil wars, two world wars, and periods of economic decline as well as prosperity. Now it is once again as an important member of a newly thriving and growing community. 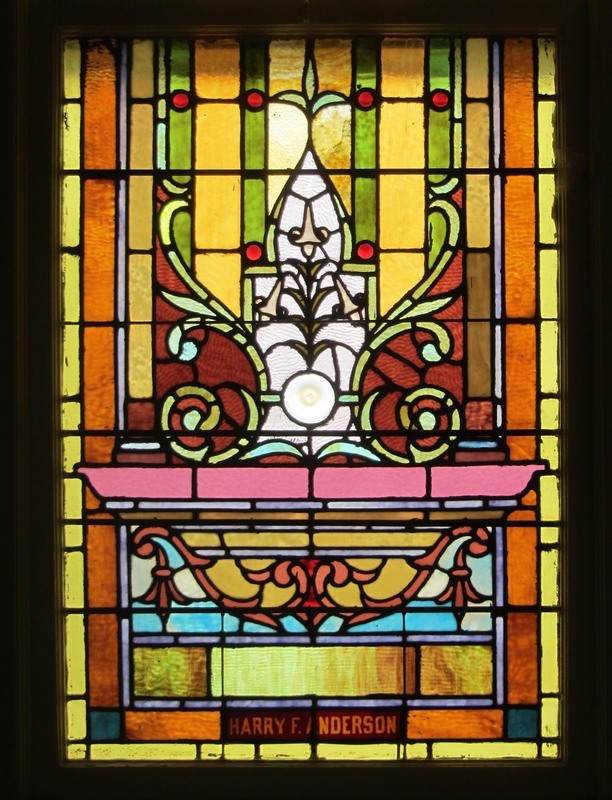 To learn more about the history of Revolution United Methodist Church, its lovely memorial windows, and its fascinating place in the history of Westport, Missouri click on the following link to the dedicated page http://wp.me/P5yyXJ-uq. Remember, you can always enlarge an image simply by “clicking) on it. 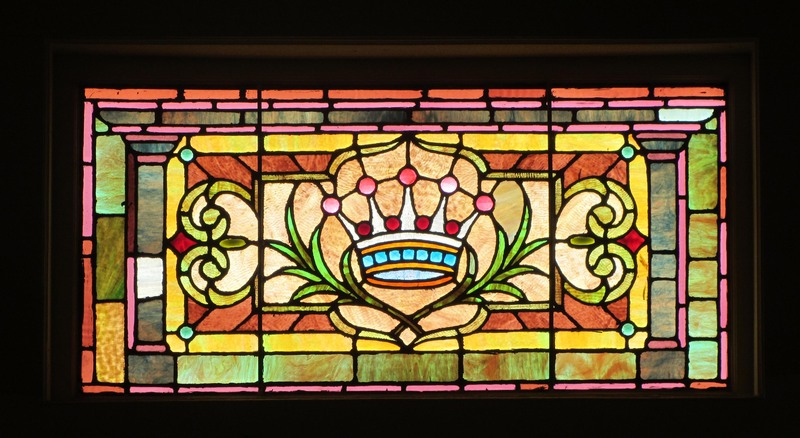 Great to read history told through stained glass–well done! Thanks. I really appreciate your encouragement. Your pieces are always interesting and inspiring. Thanks, Blosslyn. Your angels and church photos have been an inspiration for me. Glad you like what I am doing.